Celebrated watchmakers Louis Moinet SA presented the Geograph "Rainforest", created especially for the Malaysian king His Majesty Seri Paduka Baginda Yang di-Pertuan Agong of Malaysia Sultan Mizan Zainal Abidin last month at Baselworld 2011. 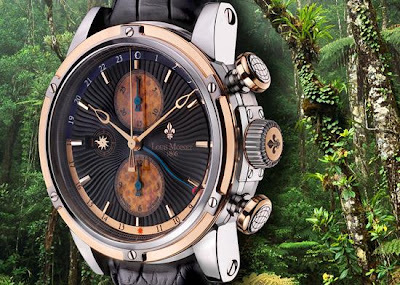 Geograph "Rainforest" introduces an exceptional new material to Louis Moinet: that of petrified palm wood. Each of the 120 limited edition watches sold will enable a substantial contribution to the Pulau Banding Foundation, which aims to preserve the Malaysian tropical forest of Belum- Temengor, one of the oldest in the world. The two chronograph counters are made from genuine petrified palm wood. This emblematic tree believed to be 70 million years old comes from the tropical forests of South-East Asia. 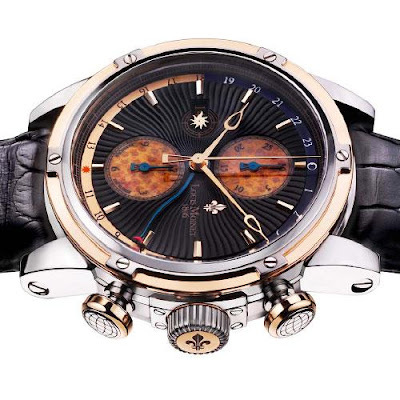 Through its rich heritage, Louis Moinet - whose eponymous founder worked closely with A. L. Breguet, probably the greatest horologist of all time - expresses a unique brand identity. The dual-time display is read off by a serpentine hand that makes a perfect match with the Côtes du Jura motif. Read-off is facilitated by the 24-hour ring composed of two separate elements featuring a perfect finish ensuring an extremely high-end aesthetic effect. 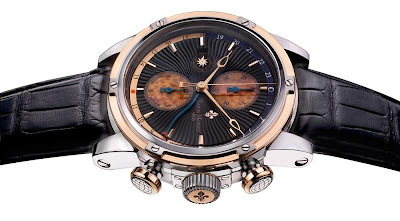 The signature features of the Louis Moinet case in rose gold and 316L stainless steel consist in its upper bezel secured with six screws; its unique interchangeable crown tube system for which a patent has been filed; the champagne-cork style chronograph pushers adorned with the atlas motif are designed to symbolise travel. To ensure the harmony and balance of the functions the date appears not at 3 o’clock, but at 9 o’clock. The case-back is inspired by tropical forest themes - an orang-utan and a rhinoceros hornbill against the backdrop of the tropical forest and a starry sky. The self-winding mechanical movement drives a variety of indications including the hours, minutes and seconds; the 60-second chronograph function with 30-minute and 12-hour counters; as well as a dual-time display adjustable via the crown. 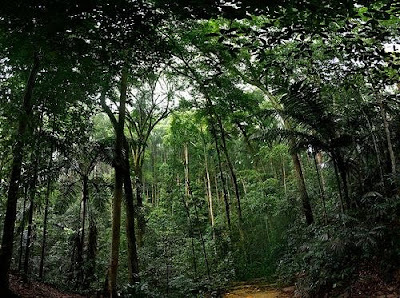 The Foundation aims to promote the sustainable development of the tropical forest ecosystem of Belum-Temengor, as well as the study of this area. This forest is of capital importance, since it hosts over 3,000 species of flowering plants, including three varieties of Rafflesia, the world’s largest known flower. It is also the natural habitat of 64 species of fern, 62 species of moss, 10 species of hornbill and its lake has 23 varieties of freshwater fish and five species of turtle.